Scenic vistas. Carefree days by the park. Vivacious styles at the corner boutique. 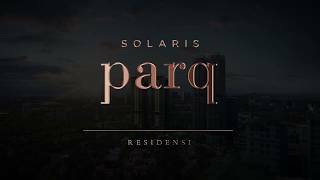 Residensi Solaris Parq combines every lifestyle aspiration within a vibrant mixed development that features an iconic 2 acres urban park and a commercial square. Created by the renowned GDP Architects, the design philosophy follows the idea of harmony between the earth and sky. They represent nature and progressive heights of luxury through a forest theme and grand vertical designs. Each home is partially furnished with branded kitchen appliances, and protected by a 4-tier security system. Life by a lush urban park offers delightful promises with 4 different zones for different moods – a Grassland open lawn area for events in the garden, A Play Yard for children, the Flower Sea for inspiration and the Forest Atrium that immerses you in the wellness of nature. Right next to the Mont’Kiara area, neighbourhoods are filled with vibrant activity. Enjoy views that combine scenic greenery and bustling cityscapes. It is a balance to savour from the best of both worlds.